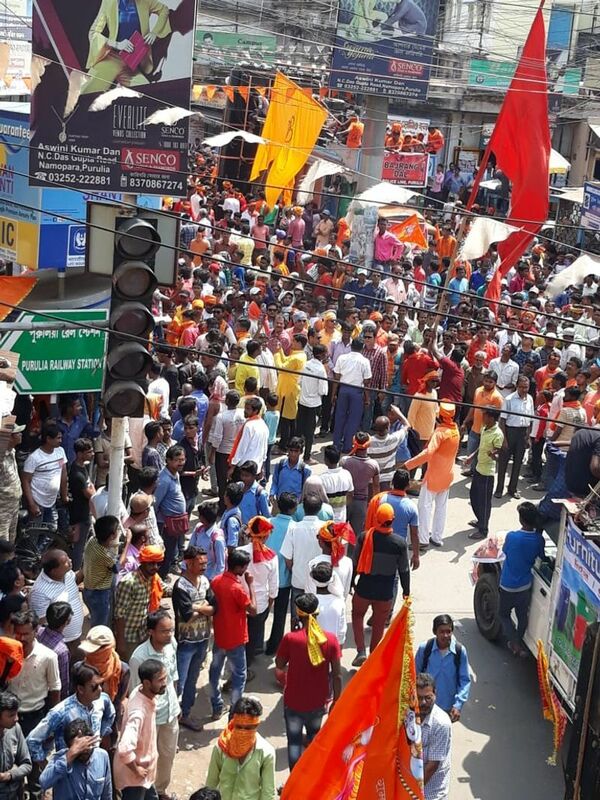 Amid the ongoing Lok Sabha polls, preparations are on in West Bengal to organise Ram Navami rallies as both the ruling TMC and the opposition BJP have decided to take out processions across the state.The Ram Navami rallies are scheduled to take place on April 13 and 14. The ruling Trinamool Congress alleged that the BJP was trying to vitiate the atmosphere during the polls. "Everybody is allowed to follow his or her religion. But what the BJP is trying to do is disturb peace in the state and create communal tension during the polls. We would never allow to do that in the state," TMC secretary general Partha Chatterjee said. 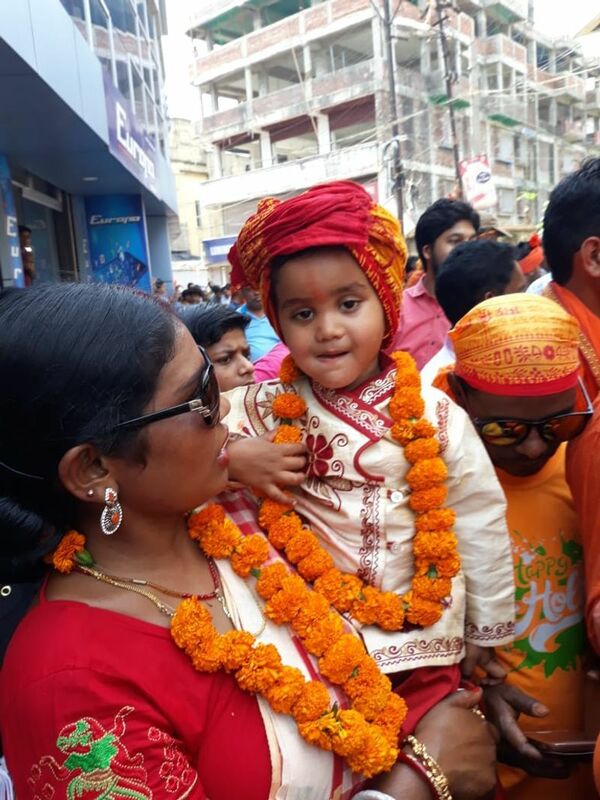 The TMC leadership in various districts have also planned to take out processions for Ram Navami.The decision to take out such processions with people carrying arms have brought back memories of violence over Ram Navami rallies last year in which a few persons were killed and several others injured. 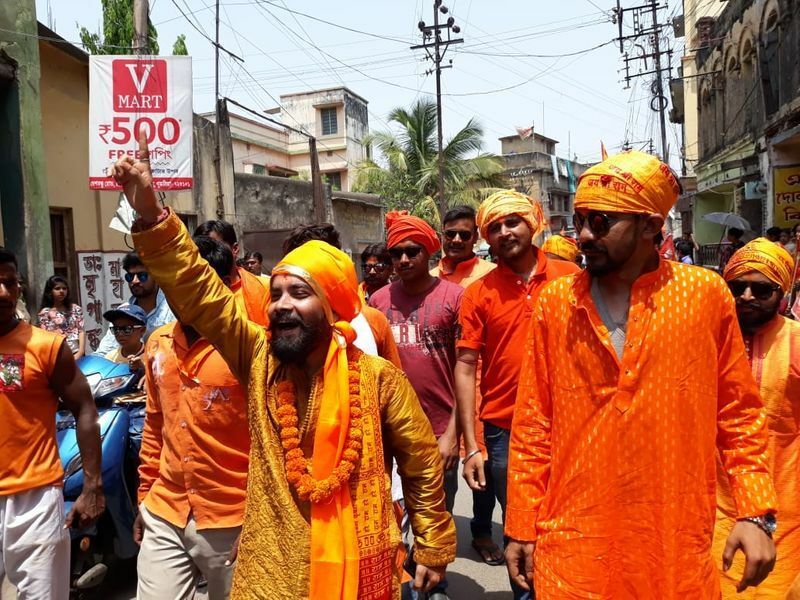 The Viswa Hindu Parishad (VHP) had planned to take out nearly 700 rallies across South Bengal to celebrate Ram Navami on April 14. 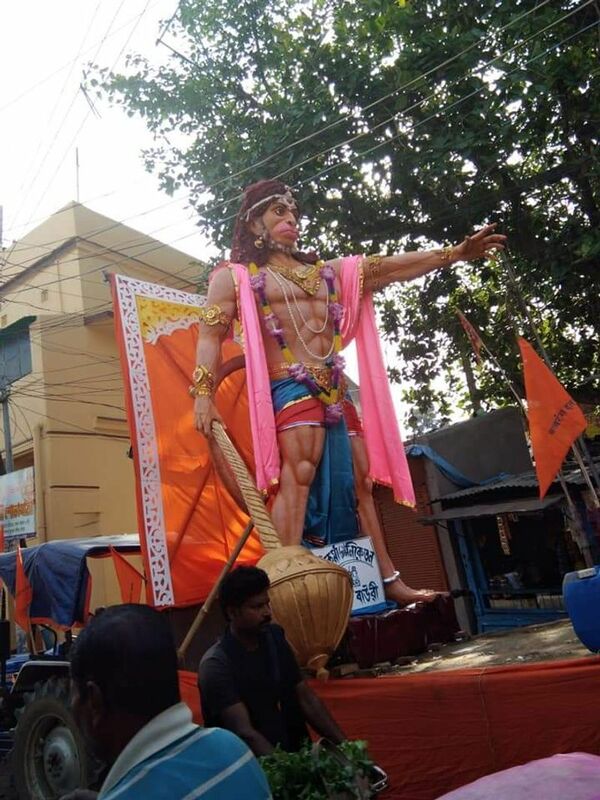 However, West Bengal Police denied permission to carry arms by the participants.This year, the VHP said there will be no arms in Ram Navami processions organised by it. "We have received permission for rallies. 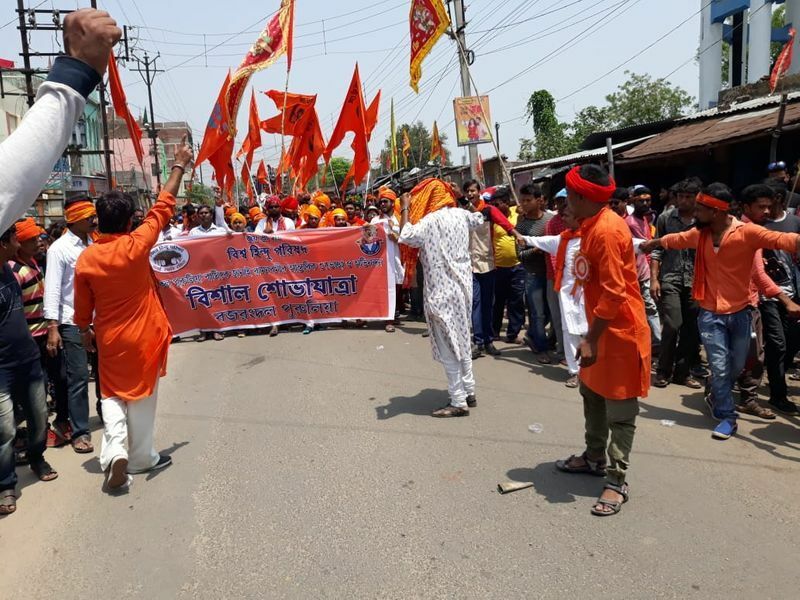 We will abide by the direction of the police and no one will carry arms during Ram Navami rallies conducted by us," VHP organisational general secretary (eastern region) Sachindranath Sinha told PTI. He said the VHP would organise around 700 small, medium and big rallies across South Bengal and less number of processions in north Bengal due to elections. Polling will be held in constituencies of north Bengal during the second and third phase of Lok Sabha polls on April 18 and 23.In South Bengal, voting will take place in four more phases.